ENSENADA, Baja California, Mexico – With just 20 seconds separating the top qualifiers, Ensenada’s home-grown Ampudia brothers posted the fastest qualifying time Thursday to earn the first 4-wheel vehicle starting position in Saturday’s internationally-televised 49th annual SCORE Baja 500. Entries from around the world are officially entered in Round 2 of the 2016 SCORE World Desert Championship, being held this week in Mexico’s Baja California Norte, starting and finishing in Ensenada, the seaside port on the Pacific Ocean, 80 miles south of San Diego. With Aaron Ampudia, 24, the youngest of the three brothers driver of record, middle brother Alan Ampudia, 26, drove the 2.98-mile desert qualifying course near Uruapan, 24 miles south of Ensenada with oldest brother Rodrigo Ampudia, 32, riding as passenger in the team’s No. 10 Ford Raptor to a fast time of three minutes, 36.80 seconds at an average speed of 49.48 miles per hour. The Ampudia brothers will lead a field of 37 SCORE Trophy Trucks into the desert over a rugged race course of 513.67-miles. 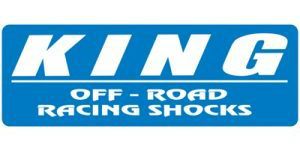 This is an elapsed-time race with staggered starts as the green flag on Saturday as the green flag on Saturday drops first for the motorcycles and quads at 5:30 a.m. and approximately 10 a.m. for the cars, trucks and UTVs. While the fastest vehicles are expected to complete the rugged 513.67-mile course in nine hours, all vehicles will have a 20-hour time limit to become an official finisher in the grueling race. With late entries accepted on-site until the close of registration on Friday, nearly 275 entries are expected at the start line with entries from 28 U.S. States and 14 countries already in the field. Besides the USA and host country Mexico, other countries represented on the starting grid so far are Austria, Australia, Brazil, Canada, Denmark, Ecuador, Germany, Great Britain, Guatemala, Japan, the Netherlands and Spain. Among the entries are 62 racers who have combined for 208 class wins in this historic race. This year is the 49th anniversary of the SCORE Baja 500, the original desert race produced by SCORE on July 26, 1974. Colorful race week festivities included the Monster Energy SCORE Kick Off Party last night night at the start/finish line area in the heart of Ensenada. Friday is the day-long, pre-race Manufacturer’s Midway and contingency festival in the start finish line area in Ensenada. On Friday evening, the Monster Energy Papas Y Beer SCORE Street Party will be held from 6 p.m. to midnight on Avenida Ruiz in downtown Ensenada. 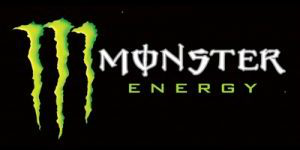 During the race on Saturday the Monster Energy SCORE VIP hospitality area, will be part of the start/finish line compound. The area will also include the massive Tecnovision LED screens broadcasting race festivities and start and finish line interviews. All of the week’s festivities will be aired both live and same-day including the race, airing via the internet on the SCORE website. With qualifying for the marquee SCORE Trophy Truck division for high-tech, 850-horsepower unlimited production trucks and the unlimited Class 1 for open-wheel desert race cars and Trophy Truck Spec, 34 of 37 entries in SCORE Trophy Truck, four of 13 entries in Class 1 and 13 of 17 entries in Trophy Truck Spec ran in the qualifying session. The vehicles that didn’t qualify will start at the back of their respective classes. Second-fastest qualifier was Las Vegas’ B.J. Baldwin in the No. 97 Monster Energy Toyota Tundra in 3:38.24 and third was Las Vegas’ Bryce Menzies, in the No. 7 Menzies Motorsports Ford Raptor in 3:38.42. The qualifier in Class 1 was No. 111 Mike Malloy,Murrieta, Calif., in 3:57.67 in a Chevy-powered Jimco open-wheel desert race car and top qualifier in Trophy Truck Spec was the No. 250 John Langley COPS Racing Mason-Chevy driven by co-driver Luke Johnson of Trabuco Canyon, Calif. in 3:59.44. The Riviera del Pacifico Cultural Center, in the heart of Ensenada, is again the site of many of the activities surrounding the SCORE Baja 500. Racer registration and Media registration will conclude in the Red room at the Riviera on Friday and the SCORE Media Center will be in the Red room during the race with internet access and live race updates, vehicle tracking displays including unofficial elapsed times. In the Cathedral Room at the Riviera will be pre-race media conference as well as the mandatory pre-race racer’s meeting on Friday. The post-race awards celebration will be in the Cathedral Room at noon on Sunday. The start/finish line for the race will once again be adjacent to the Riviera del Pacifico Cultural Center on Blvd. Costero. B.J. BALDWIN, No. 97 – I like the qualifying loop a lot and this particular loop caters to my driving style. There are lots of blind rises and lots of areas to get into trouble. I’ve just been focused on doing a little bit better in qualifying and I think we did a little bit better today. I always want to win qualifying but the best starting position is probably fifth or third maybe. I’m not really happy about our pre-running and I’ve been trying to get down here a little bit earlier. I’ve had a lot of stuff going on with sponsorship programs and other obligations that have prevented me from coming down here and getting as much pre-running as I needed to get. I know the course really well. I love the SCORE Baja 500 and the Baja 500 loves me and I’ve always done pretty well here as long as everything stays together. I think I’ve been second here four times and I won it in 2008. It has been a good race for me. ROBBY GORDON, No. 77 — I’m pretty happy with what we did there. It looks like we might get beaten by Apdaly (Lopez #1) which is impressive and good job by him. The passenger side GPS didn’t fire up and we got off line into the bushes pretty big so I can see how we could get beat. The most important thing is that the car is in good shape and we can let it rip from here. I’ve done a lot of pre-running over nine days and we’ve been around everything three times. I feel like I know where I’m going for sure. To come back to Baja is always good. The dirt side of racing is the most fun because it is about you and nature and your ability out there. It is a little hard to spectate but it is the best kept secret in racing. I think the rocks going up Mike’s are going to be interesting for everybody and I believe that guys are going to have to be smart in the San Felipe section because you aren’t going to be able to beat the car all day long. I think we are well prepared. JUSTIN LOFTON, No. 41 — I was a little skeptical on our parade lap and I don’t know if it was just because it was the first time being out in this area and not knowing what to expect. We were really able to get this truck on the pipe and it was a lot of fun. It was a great course and I’m really enjoying my first time down here at the SCORE Baja 500. I feel confident in our pre-runs because we’ve run some areas two and three times. I feel good about our course markings. It is an amazing course and I love running down the coast and up over Mike’s. You get a little bit of everything down here. This is the second race on this truck and though the first race wasn’t so great for us so we’ve done a lot of work on it. I think we’ve got it tuned in. ROB MacCACHREN, No. 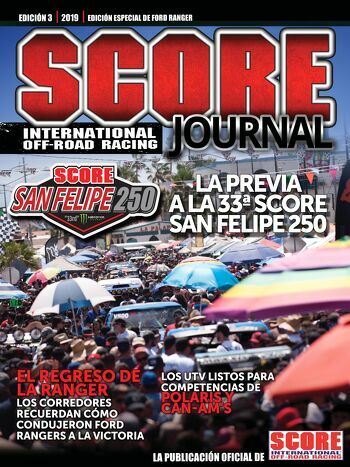 11 — Momentum (after winning the SCORE San Felipe 250 and the SCORE Baja 1000) plays a part of anything. Momentum is a huge part and I think it keeps everybody on the up and up and everybody is excited. We want to work hard and keep the good results happening. I like this race though we have gotten second in the race for the last two years in a row so we would like to improve on that. The loop down by San Felipe is the same as what we just raced on in the San Felipe 250 so it is very rough. It has been tight and technical and the first 80 miles has a lot of rain ruts to watch out for. We go through Santo Tomas and head out to the Pacific and again there’s been a lot of rain that has washed away the dirt so there is a lot of rock. I think tire wear is going to be an issue for some. A lot of the race is just keeping your truck together for the first 200 miles or so. I’m excited to be here and love racing in Baja. I love the people and we have a lot of great fans. CAMERON STEELE, No. 16 — We tried some stuff and to be honest we might have been too hooked up and a little too sticky. Coming down the back-straight there were some pretty good berms and it stuck too much. Overall I’m happy that the truck isn’t hurt. In San Felipe I went out and tried to qualify in the first five and here I tried to qualify in the first 10. We have a different cadence going for this race and are trying to get more into our SCORE Baja 1000 mode. We are testing things on the truck for the Baja 1000 and I feel strongly about the package we are bringing. Pre-running has been great. Spending time in Baja with the local people who are so friendly, excited and so cool so we’ve had a great experience again. I’m not too concerned about anything but there are some hills out there that are deteriorating and it is mostly because people aren’t using their brains while pre-running. If everybody just pre-ran at a nice calm pace and didn’t slide through all of the corners it would be better on race day. I’m going to solo the 500 but I have a backup with Johnny Campbell who is obviously a legend down here. He’s going to navigate for me and be a backup driver. I’m not a big fan of having to do too much of the slow highway and at this race we are going to have almost an hour at 37 miles per hour. Sometimes that can lull you out of your game. GUSTAVO “TAVO” VILDOSOLA JR. — It is a long race and last year we started 12th and were able to finish third physically and first on corrected time. Qualifying to us is to not make mistakes and have a clean run. Unfortunately today, on the back section coming into the wash where you go around the tree, I made a mistake and I think it cost us a couple of seconds. Other than that we had a clean run and hopefully it puts us in the top 12 again like last year. We know we can come back from that. Our pre-runs have been successful and it is always nice when you set a plan two weeks ahead with what you want to execute each day and you are able to execute the plan. That rarely happens in this sport as there are a lot of variables. The pre-run has been perfect and I think we’ve gotten over 2000 miles in and we are still going to do the start again. We’ve got a little bit more homework to do but we are going to be ready for Saturday. As long as I don’t have to pull the net down except for at the finish line we’ll be good. LARRY ROESELER, No. 96L — We’ve had limited test time leading up to this and there are a lot of new things done to the truck. It feels really good and I think it is going to race really well. We made some really nice changes to it but we are still sorting out some things. Qualifying is really important but I wish I could have had more test time leading up to it. I think we got through it okay. It is a great race course and in 515 miles we have literally everything to deal with. You’ve got to pull the reins back and there are times you can let the reins go. The pre-running has gone really well and I’ve put a little extra effort into it. The level of competition has risen and you can’t take anything for granted down here. Knowing every rain rut and rock and every little zig and zag is important. GPS helps these days but I don’t really rely on that because I’m still of a motorcycle mindset. I get focused and do my thing. There is no shortage of bumps in the San Felipe section and I’m really glad I’m in a Trophy Truck. It is really brutal. 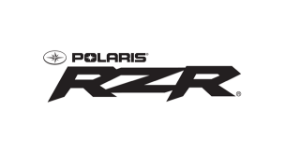 I pre-ran in a RZR, I pre-ran on my motorcycle and I pre-ran in my truck and I don’t care what you run those bumps are big. It is going to be demanding on everybody. © 2015 – 2019 SCORE International Score International is the rights holder of all the trademarks used on this website which include but are not limited to Baja 1000, Baja 500, Baja 250, Baja Challenge, and Trophy Truck.